Good quaity, nice bass, good features with ball and socket rotator design. 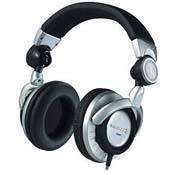 Overall better than other headphones I've owned (Denon HP-1000, SONY MDR-500). Recommended.